Not sure if you're anything like me I get around to things when I get around to them. Even if it's something I really want to do or I'm interested in. 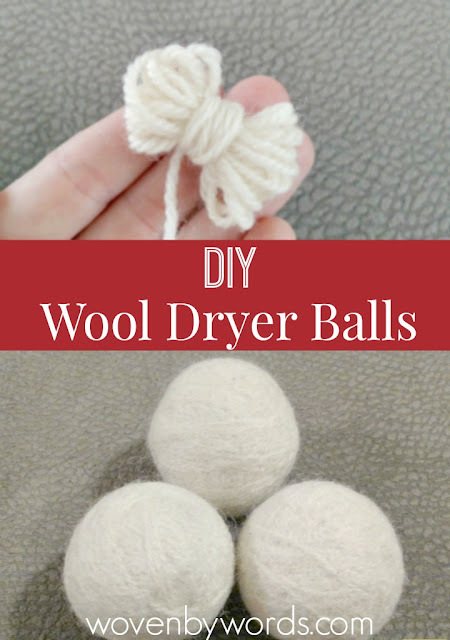 Hence these dryer balls finally being made! I've wanted to make them for ages, but for one reason or another never got around to making them. There are things that I would like to do to make life "healthier" this year. Starting the new year off I figured on a snowy day would be the perfect day to get started with them. Thankfully the other day when we were out shopping I picked up a couple of skeins of wool. Let's get started shall we? 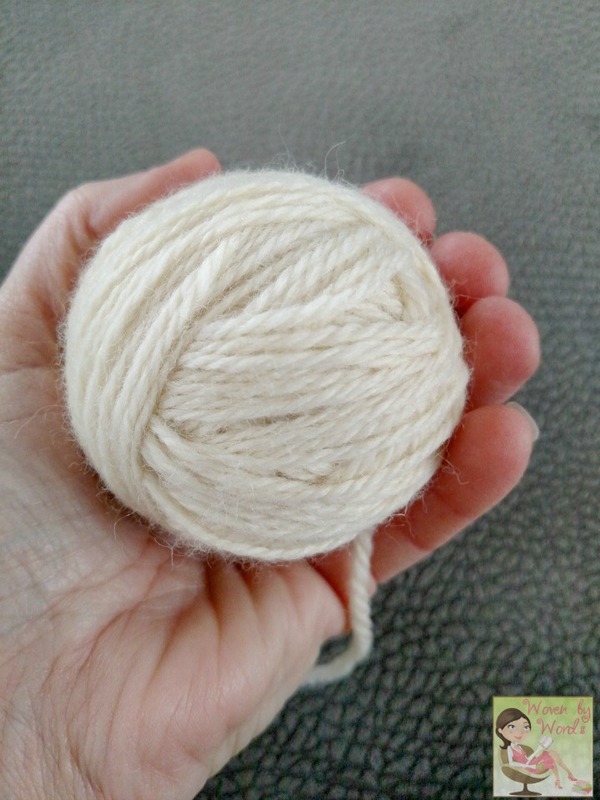 I used a worsted wool that's a cream color. 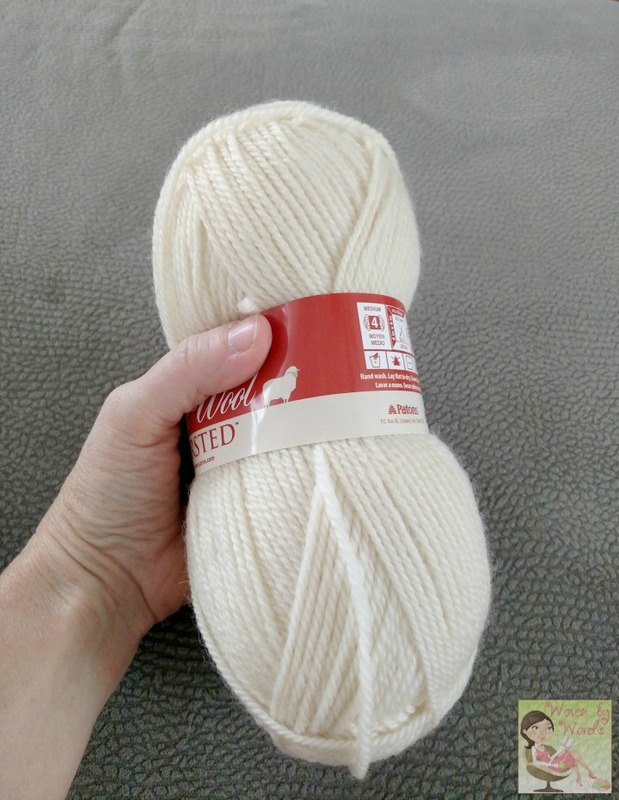 I also got a heather gray skein. I might do that one tomorrow. 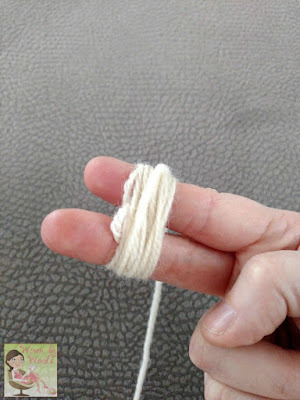 The first step was to wrap the yarn around my slightly V shaped fingers about 12 times. After that you remove it from your fingers and wrap it around the middle about 12 times. From there, you start wrapping around and around and around. When I had the ball halfway rolled, about half the size of a tennis ball, I put a few drops of lavender essential oil on it. 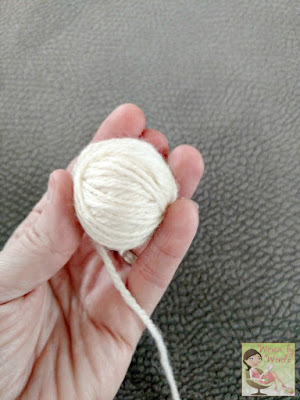 I continued rolling until it was the "right" size, and then threaded the end through the ball several times. 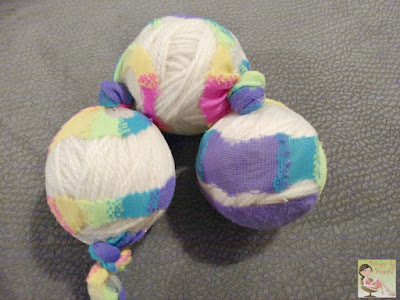 After getting all 3 balls rolled, I used a pair of crazy, old socks that are like stockings to knot the dryer balls up in. I haven't had nylons since the early 90s and knew these socks would do in a pinch. 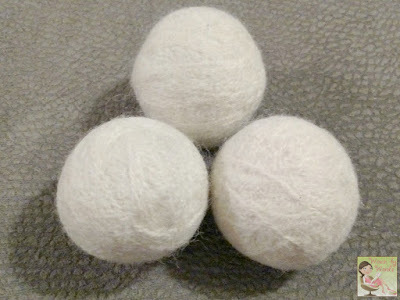 I washed them in a hot water cycle several times to get them felted. They turned out perfect! 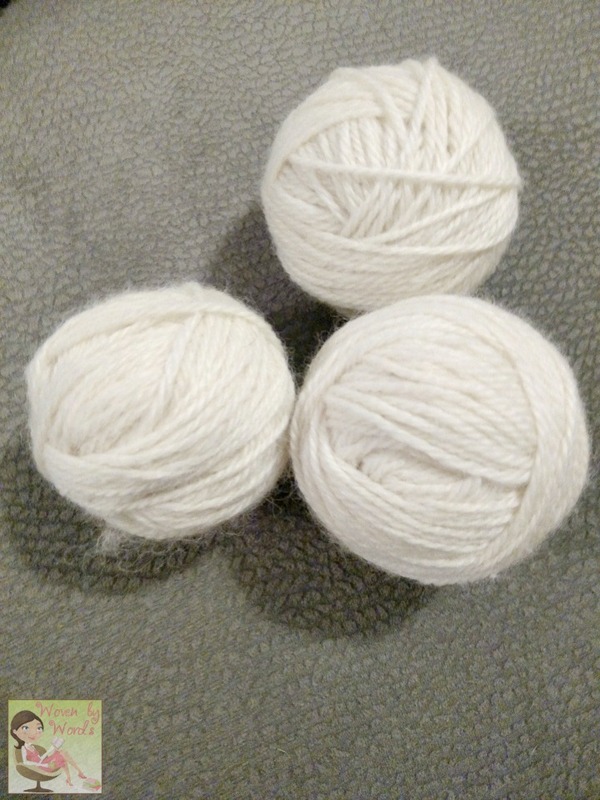 I'm looking forward to making another set. 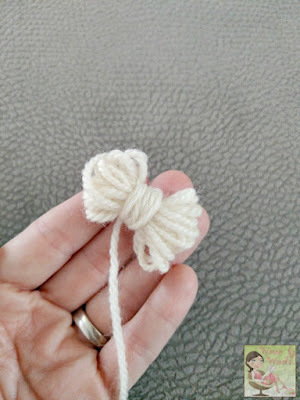 They're extremely relaxing to make. Let me know if you've done this before! 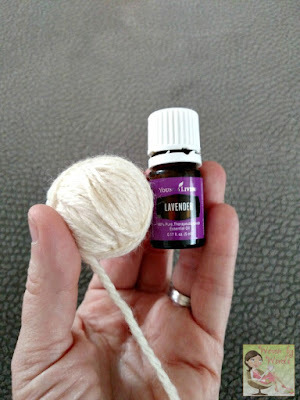 Have you used roving wool? That looks like it would be fun to use! I may try that at some point after I've tried my hand at these enough times! And what tricks have you used to keep the static down? What ways are you making "healthier" changes in your home?